Boko Haram [the radical Islamic terrorist group] killed three people and set fire to scores of homes in a raid targeting vulnerable rural communities in northeast Nigeria, a local official said on Thursday. Modu Ganamani, information officer for the Guzamala local government area in northern Borno state, said the attack happened at about 15:00 on Wednesday. 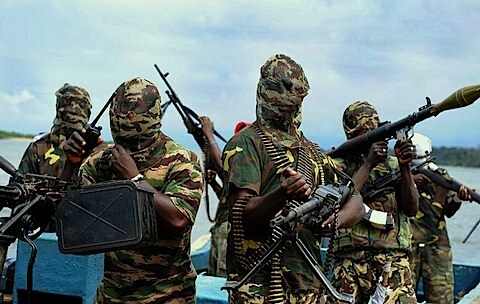 “Boko Haram insurgents came in large numbers in trucks and on motorcycles and attacked Goram and two neighbouring villages, Lingis and Ajidari,” he told AFP by telephone. “They killed three people and burned around 150 homes. They looted foodstores and set them on fire.” It was not immediately clear which faction of Boko Haram was responsible for the attack. Also on Wednesday, two people were killed when a convoy of vehicles hit landmines on the road from the Borno state capital to Dikwa, 90km away.